It’s a genre that few men know, and fewer still appreciate. But this genre is heard by millions of people every day, every time they log onto YouTube, glance at the TV or sit down in a cinema — they just don’t realise what they’re hearing. Such is trailer music: the dark horse of the film industry. A subdivision of so-called ‘stock’ or ‘production’ music, trailer music is perhaps the most underappreciated element of film promotion. It has the uncanny ability to make something as banal as brushing your teeth or walking your dog seem like an epic trek into the fires of Mordor. Its composers work quietly and diligently in their studios to produce vast numbers of 2-3 minute scores with the most important job in Hollywood: to leave us gagging for more. They must leave us feeling both overloaded and frustrated. They must provoke an emotional reaction. Composing them is not, therefore, a job for the faint-hearted. 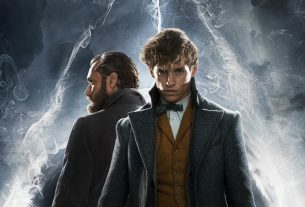 But while you’ve heard of Hans Zimmer and Danny Elfman, you’re probably unfamiliar with such trailer music giants as John Beal and Thomas J. Bergersen. A trailer is a miniature film. It needs its own narrative and its own score. Contrary to popular belief, however, these quick-fire rounds of music are delivered not directly from the film’s actual soundtrack, but from a number of other sources. Original scores, when they are required, are commissioned by production companies (often with a license fee of up to $50 000) through trailer houses, which produce the final cuts. Composers then painstakingly create a score to compliment the pictures, sometimes with the help of a live orchestra. The score is then repeatedly cut, checked and test-marketed. Beal, a veteran of the industry, commented: “Every time we do something, it goes out for a test. They say make changes, we make the changes, it goes out for another test, and this goes on and on right up until the very last minute. Times have come when I’ve been given a project at midnight for a 6AM dub next morning”. Nowadays only about one in four trailers will have an original score. To save time and money, production houses might use music from the score of other films (look up the main themes from Dragonheart, Aliens and Come See the Paradise), classical music, pop songs (and knock-offs of those songs) or ‘library’ music. Library music is perhaps the most prolific type of trailer music. Those of you that have seen the full-length trailer for Breaking Dawn: Part 1 might have noticed that its score — ‘Love and Loss’ by Two Steps from Hell — somehow managed to do the impossible: make the film look exciting. Two Steps from Hell is one of several library companies that produce volume after volume of pre-composed production music. Other such companies include Brand X Music, X-Ray Dog and City of the Fallen. These companies have traditionally developed music exclusively for motion picture studios, but in the age of Internet piracy, their work has inevitably been shared online. The biggest trailer library is Immediate Music, based in LA, whose track ‘Lords of the Realm’ trumpeted the arrival of the final Harry Potter. Immediate received an Emmy for Outstanding Music Composition in a Sports Program in 2007, is one of the only libraries to have released a commercial album (Trailerhead), and has even made it to the stage: its orchestral tie-in band Globus performed at Wembley Arena in 2006. Now that library companies have started to go public with their music, we might just see trailer music go mainstream. So this Christmas, say “no” to the charts and pick up a copy of Trailerhead. Trust me: your life will be ten times more epic.